GaryMoller.com - Health, Fitness - Naturally! : Is there a common link between acidity, cancer, yeast, fungus and viruses? Is there a common link between acidity, cancer, yeast, fungus and viruses? "My skin doctor reckons the fungus/skin cancers idea is rubbish? Those things on your skin maybe a fungus?" Hmmm.. If that's the case, then I should change my own skin specialist who has been burning precancerous solar kerastoses off my hands, ears and forehead over the last decade! We know that alkaline metals, like zinc and selenium help prevent cancers of the skin and prostate; but exactly how? Cancers thrive in acidic environments. Fungi and viruses also thrive in acidic environments. A healthy person has a body PH of about 7.2 (slightly alkaline). As we age, suffer stress, illness and injury, our ability to maintain an alkaline PH declines and we tend towards being acidic. 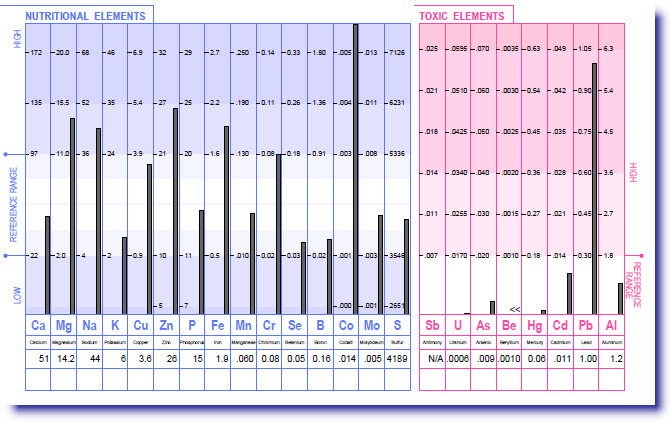 Toxins like arsenic, mercury, aluminium and lead interfere with the alkali elements like magnesium, zinc and selenium. Most people have these in their bodies nowadays from environmental pollution and sometime medicines. Skin cancer and prostate cancer are very common in people who have been exposed to arsenic and lead and other toxins - people such as builders, farmers and mechanics - and people who use firearms. a problem with solar kerastoses. 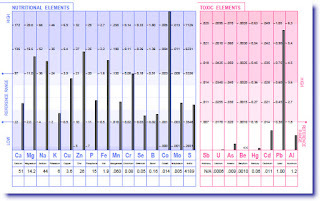 When I do a Hair Tissue Analysis on a person with ailments like warts, acne, psoriasis, candida, athlete's foot, sinusitis and cancers such as prostate, there is often present toxic metals and a profile indicating a problem with zinc in particular and often the presence of toxins like lead. When we correct the alkali element imbalances/deficiencies and get rid of the toxic elements, the disease gradually clears over several months. Now here's the interesting question when it comes to cancer. If cancer is the body's response to fungus and viral infections that have overwhelmed the body, as some experts claim, then can we prevent and even cure cancer by increasing the body's PH to be in the alkaline range of about PH 7.4? Below are several videos about the link between cancer and fungal infections. They are two sets of a series of videos. While there is some doubling up, please take time to watch them all. I would welcome your comments which you can post at the bottom of this article. The oncologist, Dr Simoncini, who appears in the videos is - needless to say - highly controversial within his peer circle. But that is hardly a surprise. Many of the inquisitive outliers of history who drove Human progress were persecuted by their peers only to later being proven to be right. Without such outliers, medicine would still be blood-letting. As a matter of interest; I started applying Simoncini's ideas to my own skin which has been increasingly plagued by solar keratoses, mostly on my hands, arms, forehead and ears. These were requiring visits to the skin specialist every two years to have the worst of them removed. Well, four years have now passed, I have not been back to the specialist and most of the skin lesions are gone. And here is an interesting website on the subject: http://www.curenaturalicancro.com/ I am of an open mind on this matter for now. Let's see what eventuates and I would appreciate your opinions and feedback.